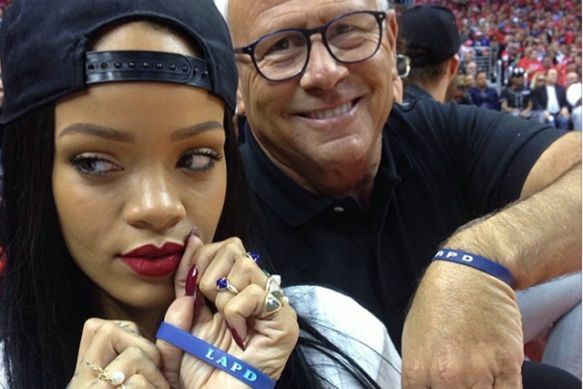 *Rihanna has donated $25,000 to the Los Angeles Police Foundation as a “my bad” gesture after she accidentally breaking LA Police Commission President Steve Soboroff’s cell phone during a selfie. 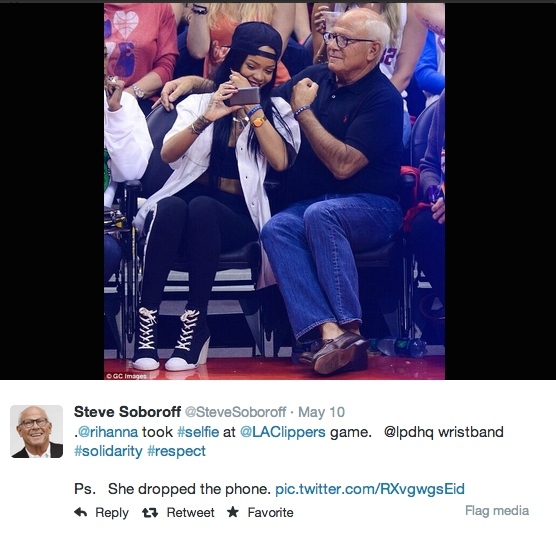 Soboroff asked her to pose for the pic at the Los Angeles Clippers’ playoff game against the Oklahoma City Thunder on Friday (May 9). Soboroff later revealed that RiRi made a donation to help police cadets from underprivileged backgrounds and bereaved families of officers killed in the line of duty. The phone is now up for sale on eBay to raise money for the police foundation [see below]. The auction ends on Thursday (May 15).